In the last few years, when Hasbro readies the action figures to go with a new movie release they also include characters from unrelated films or media to fill out the case assortments and not revealing too much about the new release’s plot details, so, within the very first wave of figures for the Rogue One movie, Hasbro gives us yet another version of everybody’s favorite space Nazgûl. 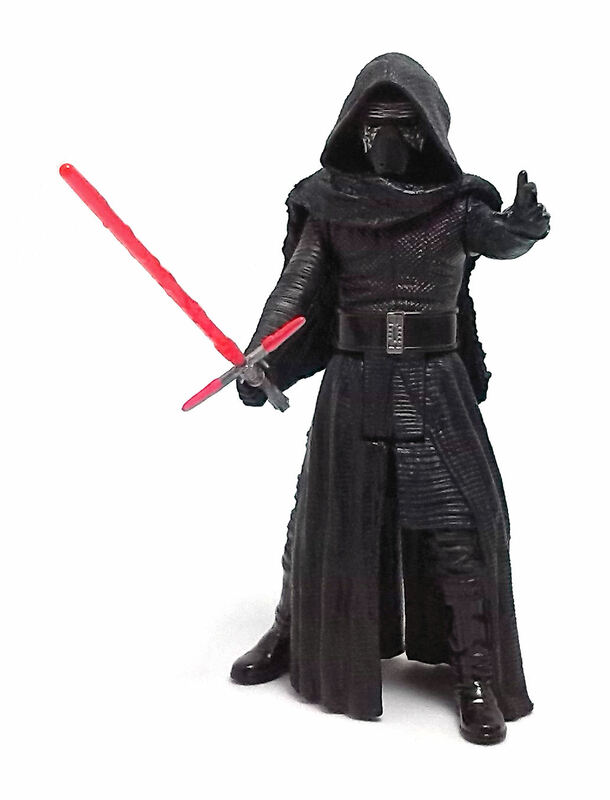 However, this release of Kylo Ren is not precisely what one would call a “new” action figure. 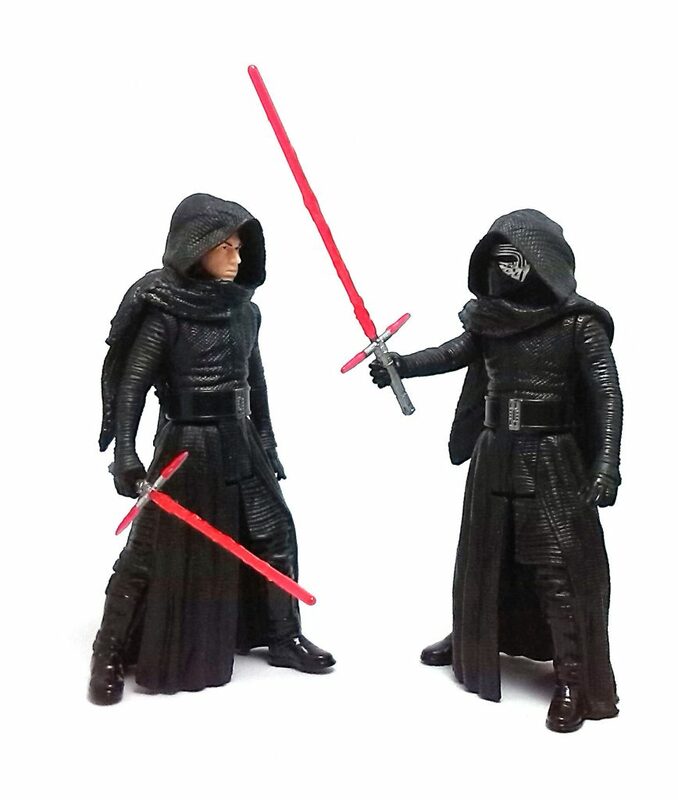 Right away, you can tell they are using the exact same body mold they had for the Unmasked Kylo Ren figure, as well as the removable hood piece and lightsaber. The real reason to get this figure is the helmeted head, which may not be a completely new sculpt either, as it might be the same piece used for the super-articulated, Wal-Mart exclusive figure, or even the one released in the Armor-Up assortment last year. Whatever the case, this kit-bash of a figure looks really nice and I find that the masked head has an improved range of natural-looking poses within the hood piece. 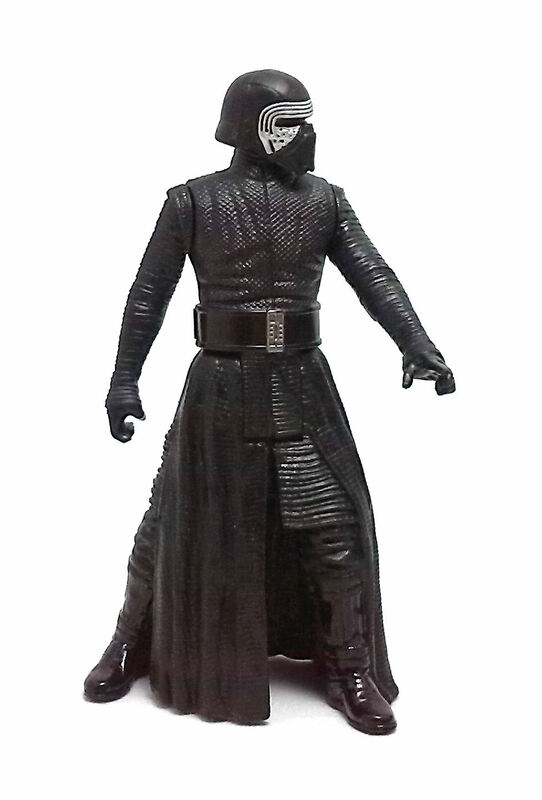 The paintjob this new Kylo’s uniform is the same as the unmasked version, but I find that the application on the mask is much neater than in the first release of the character. 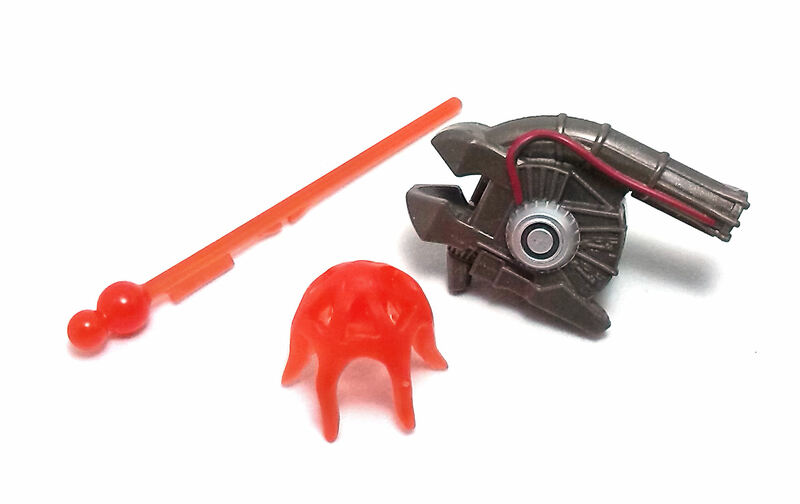 Thankfully, Hasbro dropped the Build-A-Weapon scheme for the Rogue One line of figures, but they still include a separate, stand-alone accessory. 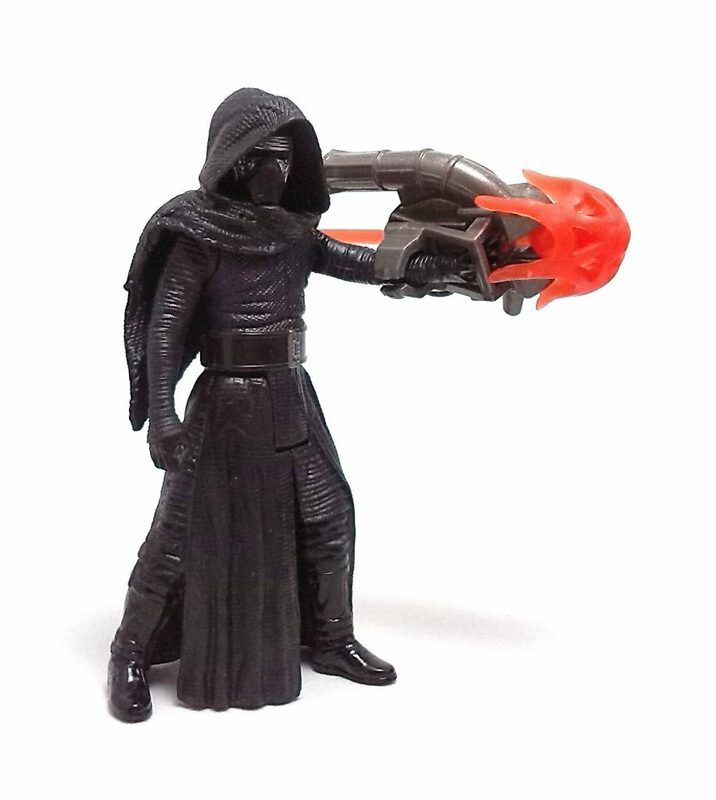 This time around, for Kylo they have a spring-loaded projectile launcher. 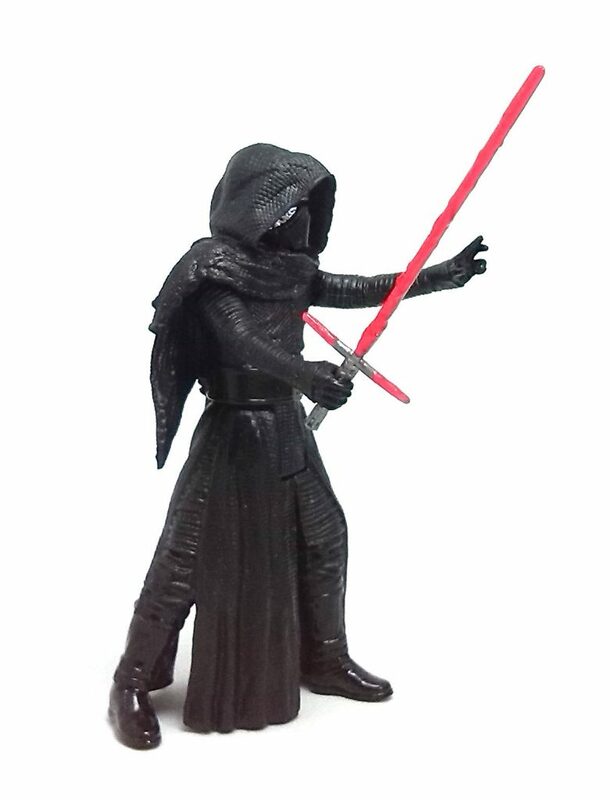 This accessory is rather large, but thanks to the superb stability of this figure, Kylo can hold it without much trouble. 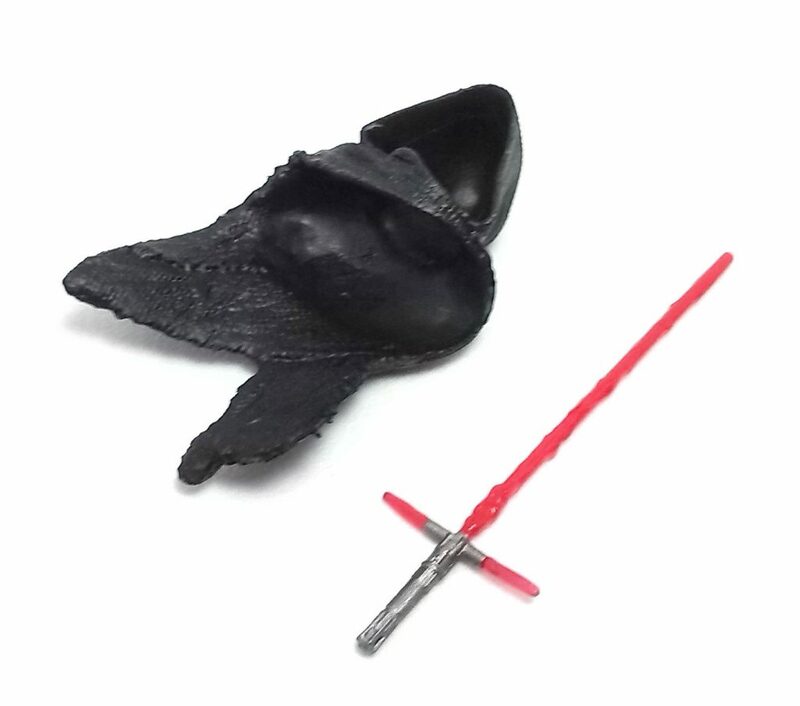 The thing that caught my attention about this accessory is that the projectile itself has a soft rubber tip shaped loosely like a flame effect. 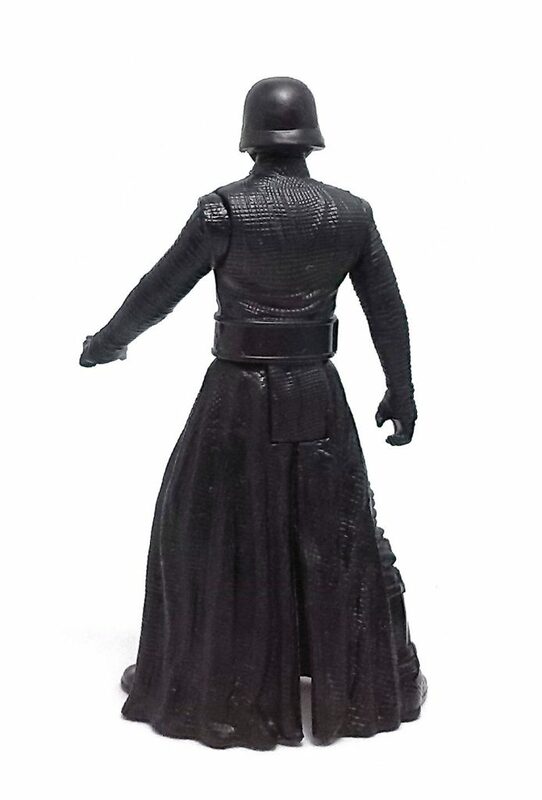 So, even though this action figure seems to have been cobbled together from already available molds, I really feel this is the best Kylo Ren one can have from the basic action figure line.